As the owner of the Sugar Hill Inn I am frequently asked about shopping. The White Mountains are dotted with small towns like Sugar Hill, Bethlehem and Franconia, each with interesting and unique shops. 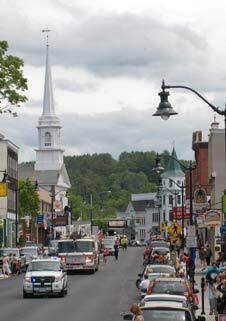 This blog is going to focus on Littleton, our big town. You won’t find any of the chain stores on Main Street such as Gap, Gucci or United Colors of Benetton and that is the way we like it. Instead you will find fresh and exciting businesses run by local entrepreneurs, artisans and old fashion merchants. Please feel free to leave comments on your favorites. An eclectic boutique housed in an 1884 Victorian House near Littleton’s Historic Opera House. Explore one of a kind selection of jewelry, unusual home and garden items, candles, and bath and body products. Owner Lance has an amazing eye for mid century modern décor. This store is a cool trip back in time. Home of the World’s Longest Candy Counter. Celebrate your inner child. An eclectic array of treasures for your home. Visiting the art gallery on the lower level is a must. 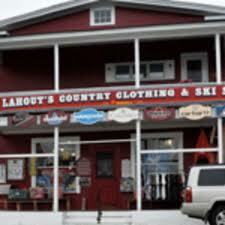 America’s oldest ski shop. Everything that you need to enjoy the great outdoors of the Franconia Notch region along with a very knowledgeable sales team. Have your hair colored and come home with new cloths, shoes, Jewelry, and local art. The owners artistic flair brings these diverse items together in harmony. 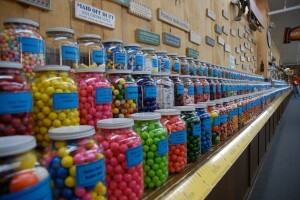 This is heaven for the gourmet chef. Everything from tart pans to espresso makers and cookbooks. 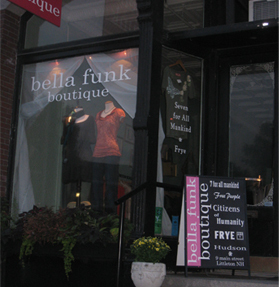 An upscale boutique carrying designer names such as Citizens of Humanity, Free People, Frye, 7 for all Mankind, BB Dakota, Hudson, Johnny Was and much more! It is owned by 2 sisters from Franconia, Stefanie and Katie. This is a favorite of my daughter Sara. Saranac Antiques is located in a 1909 Masonic Temple, an example of Beaux Arts Classicism. Three floors plus the must see architecture makes this a great store to explore. The antique drop leaf table in the Dream Cottage was discovered at Saranac. Specializing in Architectural Antiques & Recycled Building Materials. The bar at the Sugar Hill Inn was made from an old Massachusetts bowling alley purchased at Admac. Wander among old bricks, used slates, barn beam, doors and chandeliers. The beloved bronze Moose keeping watch on the herb garden at the Sugar Hill Inn is from the League of NH Craftsmen. I also like their hand blown glass, wooden games and block prints. For 30 years the Village Book Store has been serving White Mountain residents and visitors. In the days of the Kindle and big box retailers it is so refreshing to visit an independent book store. And yes, there is a place to sit and sip a cappuccino while browsing the books.